MetaStock D/C is specifically designed for traders who do their analysis after the markets close (If you are interested in real-time trading, check out MetaStock R/T ). MetaStock D/C can be powered by Reuters DataLink or your own choice in a 3rd party data service, and is designed specifically for swing and position traders. 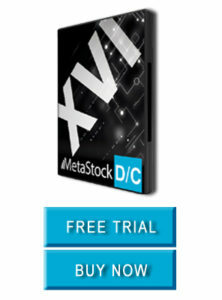 Regardless of your trading experience, MetaStock D/C gives you professional level analysis tools.